NEW TEAM! NEW DIRECTION! The return of Al Simmons, and the start of a brand new era for SPAWN! No one quite knows where Al’s been all this time, but it’s clear he’s come back a changed man. Wiser, stronger, and with the memories from an experience that’s he’s still struggling to understand. Tucked away in a crime-ridden corner of New York City, he’s beginning to forge new alliances, preparing defenses, and testing out his newly acquired powers... because there’s a battle coming, and it’s something that makes the Heaven/Hell thing seem like a petty squabble. So just who did Al piss off so badly while he was away? Paul Jenkins has replaced Brian Wood to be the next writer of SPAWN. 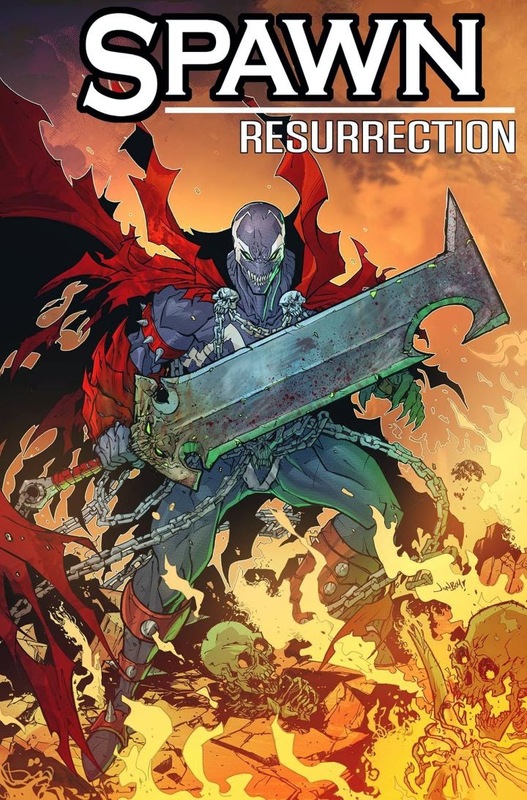 Comics veteran Jenkins will be joining artist Jonboy Meyers starting with SPAWN: RESURRECTION, before the team takes over the regular series with SPAWN #251! This issue begins by exploring what's become of Simmons since his suicide and what motivates him to return to the Spawn mantle. Most of this script unfolds as a conversation between Simmons and the canine manifestation of this universe's supreme creator. The two argue over issues of fate and free will and whether Simmons' death really was self-inflicted after all. This is a good issue to return to the series if you have left. All you need is a basic knowledge of 1992-era Spawn (Wikipedia if need be) and Jenkins' script will fill in whatever blanks remain. The issue is on sell now at all comic book retailers of can be purchased at Image online.